In addition to the questions a purchaser can ask prior to a visit, there are 5 key attributes you really need to check. Those 5 attributes will move your new product through the product development phases and into production more or less quickly. Typically, one of your designers/engineers will check these attributes. One important factor to take into consideration when selecting new supply partners is the compatibility with your computer aided design (CAD) software. If your design files cannot be accessed or read correctly, errors might creep in during production. There is software available that translates CAD files. However, it is better if the supplier has the same CAD system that you are using, as this ensures continuity with design file transfer. Another element to look for when selecting a new supply partner is their in-house design capability. Working with a supplier that has solid design skills allows you to work either in conjunction with your own design team, or to utilize the supplier’s design capabilities to carry out design work on your project. A good example of this would be if you are developing a new electro-mechanical device where you designed the mechanical hardware (e.g. plastic housing) and other non-electronic components, and the electronic design would be handed over to your supplier as they have the skill set that you lack internally. (This could also work the other way around — the idea is that you have a different skill set to your suppliers). Mechanical Engineering – having the ability to design parts such as plastic casings, metal structural components, functional components like drive shafts and bearing shafts, as well as having the knowledge of checking and verifying the design for strength by calculating bending moments and torsional stress limits. It is paramount the mechanical design team have this analytical capability. Electrical Engineering – the skill set and knowledge to design for example a drive system where they have to calculate the motor torque and speed of a motor that needs to drive a pulley at a certain speed to lift a specific weight. Other skills you might be looking for here are use of electrical measurement instruments, electrical machinery knowledge, power generation, and control systems. Electronic Engineering – they must be able to design PCB circuits to a high level of complexity, which should include the use of IC processors, micro BGA components, and other complex surface mount devices. They also need to be able to diagnose problems and work out solutions, as well as being competent in testing their designs and reverse engineering designs. Software Engineering – you need to ensure the software engineering team is capable of coding and delivering what you specify from an output functionality point of view. Because there are so many different software coding tools available, you are better off focusing on functionality requirements as opposed to what programming software or frameworks they are using. On top of all this, you need to check if they have a structure in place for developing code (e.g. Agile software development, as opposed to the waterfall approach). As you can see, it’s not about the ability to “draw things”. It’s real engineering and problem solving work. There are occasions where you may need the supplier to work with you on research and development (R&D) aspects of your project. This could involve utilizing the specific knowledge they have about the industry they focus on. An example of this would be the R&D of a rugged phone case capable of being run over by a car without causing any damage to the phone. You may well have a great design and carried out all the calculations that show the design works, but having your supplier build progressive samples that are tested and modified within a controlled environment helps move the project forward and closer to production. This R&D work provides both you and the supplier with confidence that the product coming out of mass production will indeed meet the design specifications. If the supplier has dedicated R&D facilities and in-house capability, that can be a huge advantage for you, particularly if you do not have such facilities available. Once the project has been through the design cycle, it is time to get prototypes made. Working with a manufacturer that has in-house prototyping capability not only speeds up the development process, but more importantly it allows the factory to get a better understanding of your product before it reaches production. If you have a supplier that ‘gets’ your project and if they are proactive (this is a rare thing in China but it can happen), they are more likely to make suggestions on how to improve the design from a manufacturing point of view that could well save you money. Some of these design changes may include suggestions like combining a number of features into one, thus saving on inventory, or something as simple as changing the draft angle on your plastic part to improve process capability (which will reduce the number of rejects in production). R&D and prototype capabilities are all very good attributes, but having dedicated testing facilities where they can test design iterations in parallel with your own testing is a great feature. This allows you to not only test the different steps in the design, but allows for stress testing and long term testing of your product — during development, during the pilot run, and once the product is in production. Depending on the industry, only Western-owner, Taiwan-owned, and Hong Kong-owned factories might score high on at least 2 or 3 of these 5 attributes. Or you might find several mainland Chinese-owned factories that are well equipped to help you. If they score high for most of these 5 attributes, you can have a reasonable degree of confidence that your supplier has the capability to ensure your product is manufactured correctly and they have the skill set to correct any issues that may occur. Remember, this is not all about being as fast as possible. You should try to work smart in order to move forward at speed. Very good list of considerations when approaching a Chinese supplier about manufacturing a new product. How would you recommend a purchaser in this situation approach actually investigating these areas of a prospective supplier? 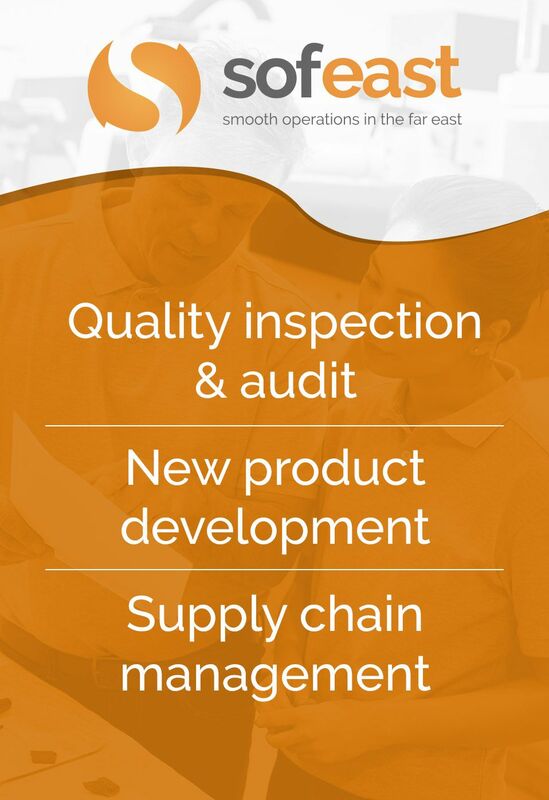 Would a QMS audit using ISO9001 standards cover all of these areas adequately? Or is the purchaser better off personally visiting, or sending their team to visit, potential suppliers and check these? Would a QMS audit using ISO9001 standards cover all of these areas adequately? Most likely not. ISO 9001 does cover design & development, but typical quality auditors don’t have the technical understanding required to go in these details. The key is to send someone with the appropriate engineering background, I feel. He/she will need to be (at least) a little familiar with all the design competencies that apply to the project, and will need to have some experience working on New Product Introduction (or PPAP in the auto industry) projects from A to Z.